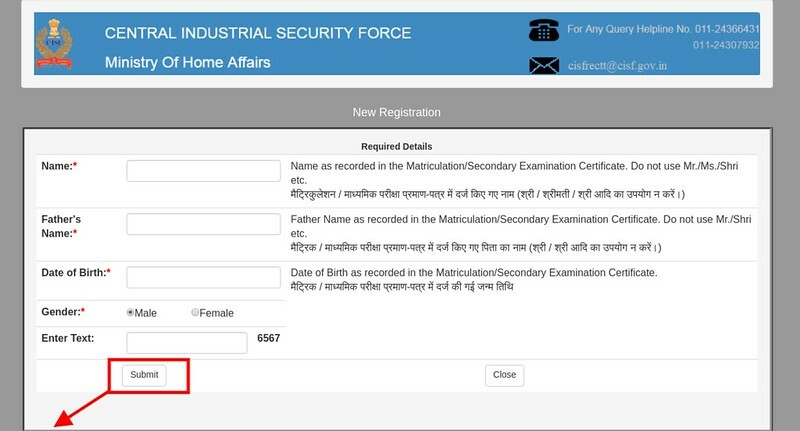 CISF Head Constable Application Form 2019 – The Central Industrial Security Force (CISF) has extended the CISF Head Constable Application Form 2019. Now the lastr date to submit the application form is Frbruray 25, 2019. The application form is to be filled in the online mode only at the official website at cisfrectt.in. No other mode of application will be entertained by the CISF. The application fee to complete the application fee is Rs. 100/-, however, the SC/ST/ women/Ex-Serviceman candidates are exempted to pay the fee. There will be 3 stages of recruitment, before the medical examination i.e. PST Documentation, a bilingual OMR / Computer-based written test and a Skill Test (Typewriting Test). 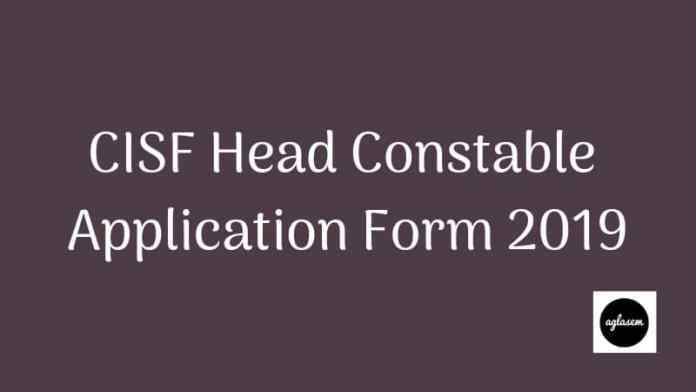 Get here all the details of CISF Head Constable Application Form 2019. Latest: The CISF Head Constable Application Form 2019 has been extended. Scroll down to fill the form. The CISF in its official advertisement has announced that the application process for CISF Head Constable Recruitment 2019 for filling up 429 vacancies in Head Constable (Ministerial) posts. Online applications are invited from both male and female Indian citizens for filling up these vacancies during the allotted period of time. The official schedule is detailed out in the table below. The Candidate must have the minimum educational qualification of having passed an Intermediate or Senior Secondary School Certificate (10+2) examination from a recognized Board or University or an equivalent. The candidate must be between 18 to 25 years of age, on the closing date of online applications. Relaxation of upper age limit will be provided to candidates eligible for age relaxation based on the reserved categories they belong to. Note: Applications of those candidates who do not meet the terms of the eligibility criteria will be rejected. The candidates who seek recruitment into the vacancies of CISF Head Constable / Ministerial posts in 2019 will have to pay an Application Fee to have their application forms successfully validated by the Central Industrial Security Force(CISF). The Application Fee once paid cannot be refunded under any circumstances. SC / ST / Women / Ex-Servicemen category candidates are exempted from paying Application Fee. Note: Any other mode of payment of Application Fee will not be accepted. Payment of Application Fee has to be made up to 5:00 p.m. on February 20, 2019 (the closing date of online applications) after which the link will be disabled. Four Passport Size copies of applying Candidate’s recent photograph. Scanned photograph (04 to 12 KB in jpeg/jpg format) and Signature (01 to 12 KB in jpeg/jpg format). 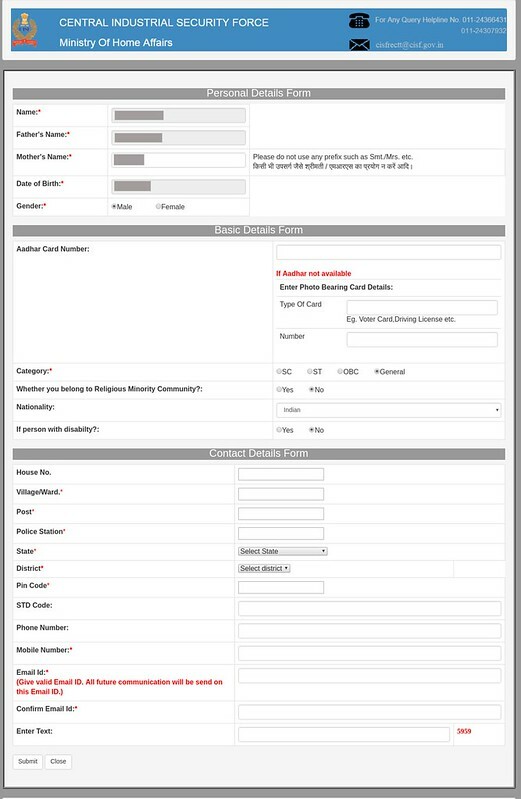 How To Fill CISF Head Constable Application Form 2019? At first click on the above link, that redirects to the similar page as an image. Now the candidates have to click on the register button in the “New Registration” section. Thereafter the following page appears like the image below. The candidates have to fill there the following fields. When you click submit, an Email or SMS will be sent on the entered Email ID or Mobile Number informing you your Registration No. and Password. With this Registration No. and Password, you will be able to login to the website to fill your online Application Form that will soon be available (released as per schedule). In personal details, all the data which you have filled earlier will be auto-filled and the candidates don’t need to re-enter them. In case a candidate doesn’t possess the Aadhaar card then they can fill the details of another identity card such as voter id card, driving license, passport etc. Whether the candidate belongs to a minority community? Herein the aspirants have to fill the correct correspondence address. On entering all the details in the application form the candidates have to submit the form. Make sure all the details are filled correctly in one go. As there will not be any chance to edit application form after submission. After submission of details, the candidates will be redirected to the payment section of the application form. The payment section will be open for only those candidates who are not exempted to pay the fee (SC/ST/Ex-Serviceman/ woman). The candidates have to pay the application fee with the available mode. The candidates can upload their photograph and signature in soft copy in the specified format. The candidates can do this through “View / Edit Application Form” section. The size and format will be same as specified above. At last on completion of application form, the candidates should take print out of the confirmation page for future reference. The Central Industrial Security Force is a Central Armed Police Force in India that functions directly under the Ministry of Home Affairs, India. Among its duties are guarding sensitive governmental buildings, the Delhi Metro Rail Corporation and providing Airport security. Currently, there are 1,48,371 employees recruited under the CISF. Every year the CISF recruits eligible and able-bodied candidates to fill up its vacant ranks. Through the CISF Head Constable Recruitment 2019, the CISF will recruit candidates to fill 429 vacancies of Head Constable (Ministerial) temporary posts. I M DONE FEE PAYMENT BUT PAY FEE LINK IS DISABLE. WHAT I DO. 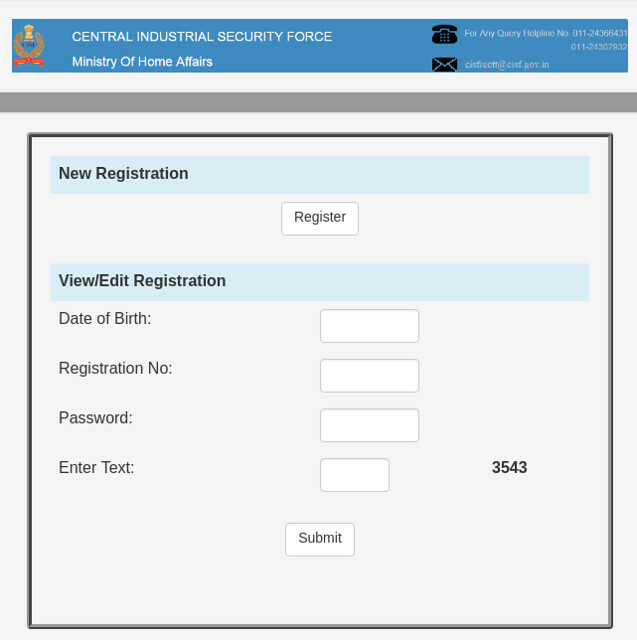 SIR, I have got cisf headconstable’s reg.id and it password,instead all of this i could not complete my application process on this web site, pls increase few days of its application process after it’s maintainence. what a site have in. for this kind of services. i got exhausted.